Tags flower., dancing., orchid., lady. @skstein Thank you Sandy f & for the Fav..They are beautiful & flower profusely. @777margo @onewing @beryl Thanks for your lovely comments, I just love this time of year when they are all in flower. Gorgeous sight. They look like gold. @demelo Thanks, Ann for the Fav,,They fill a whole corner of the room. wow! this is truly majestic Valerie! unbelievable! 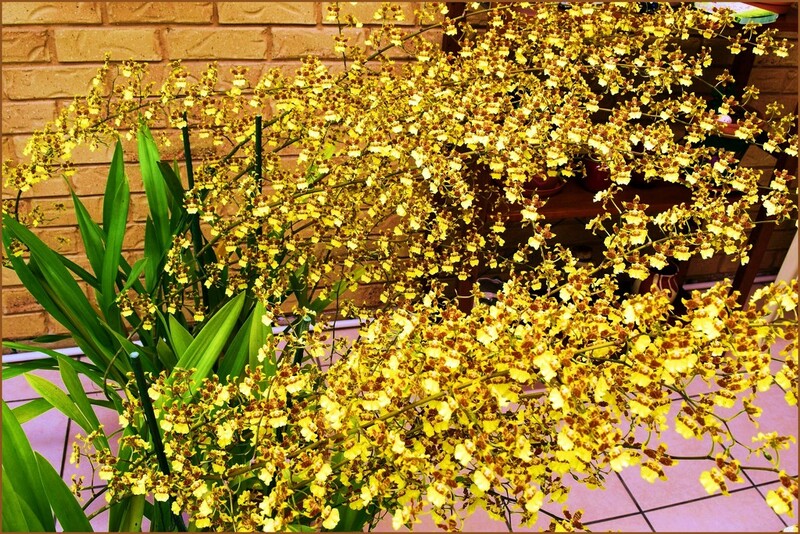 an orchid can grow so big and beautiful! Wow, that's a beautiful Orchid! Unbelievable amount of flowers. @ninaganci Thank you, Nina & for the Fav..This is a prolific flowerer & lasts for weeks, I so enjoy showing it off. @susanwall44 @bkbinthecity @markandlinda So pleased you enjoyed, it is a delight & flowers for many weeks. WOWEEEEEEE that is just amazing, flowering like crazy!